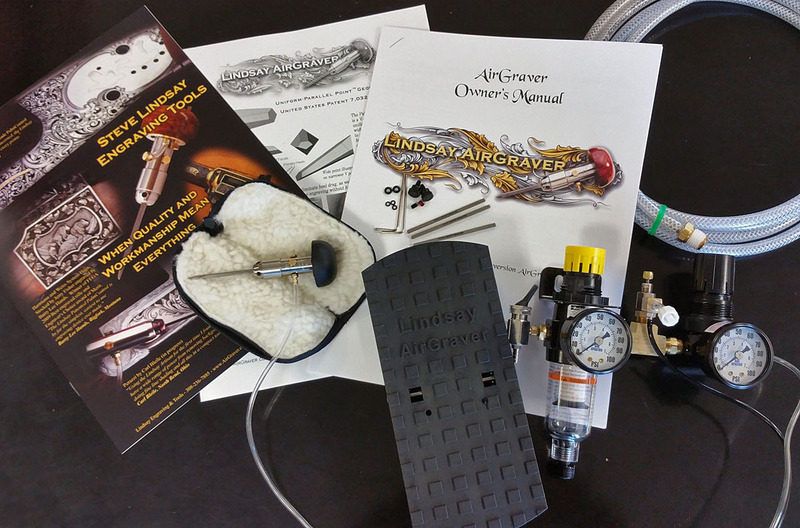 The Classic™ AirGraver® is available with two pistons: Standard stainless piston and a Tungsten Dead Blow™ piston. The chart bellow illustrates the speed ranges of the tool for when it is set at a short stroke, and for when it is set at the longest stroke. The stroke adjustment of the Classic™ AirGraver® makes the tool perform like numerous handpieces in one. The Classic™ AirGraver's length of stroke adjustment provides a virtual multitude of handpieces in one tool. At any given stroke length setting (determined by the adjustment ring on the barrel of the tool), the power is varied with air pressure from the foot control or PalmControl® (.05psi to 80psi). The absence of an internal spring means uniform performance throughout the range, with no “sweet spots” or “dead spots”. The full range of power and speed is "sweet" throughout, due to the internal automatic balancing of air pressure on both the impact and return strokes. An advantage to the AirGraver® design is the speed at which it can move a graver physically through the metal when desired. The throttle range is possible because the tool's speed and power work together. If the tool would only increase in power but not with speed, the result will be more broken points and staggered stair cut marks in the cuts. Increasing impact speed and power together will deliver an improved, wide range of throttle speeds. 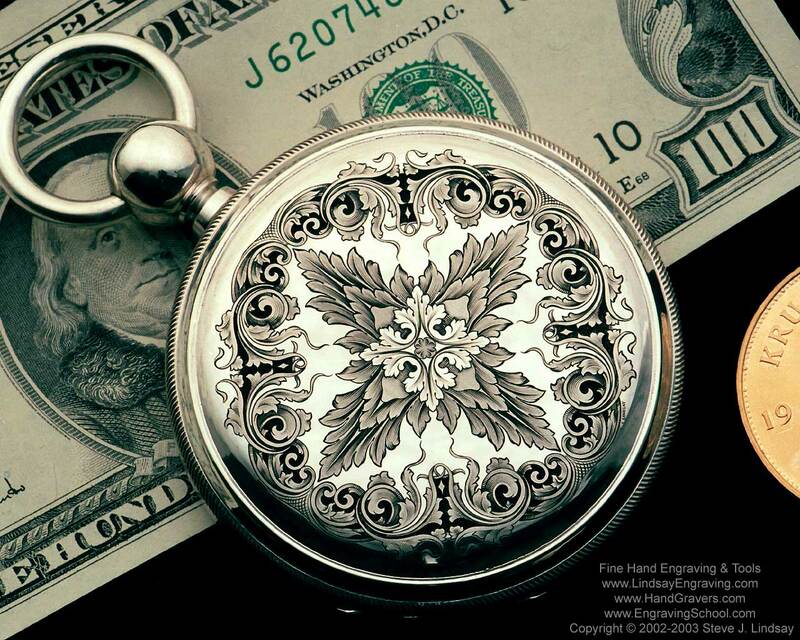 An experienced engraver can increase their productivity significantly. The AirGraver's delicate impacts gives the user ideal control. The AirGraver® system requires air consumption of 0.1 to 0.3 CFM at full throttle, allowing the use of smaller air compressors. 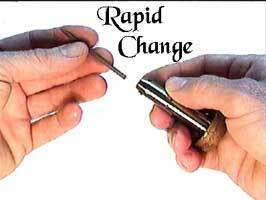 The Rapid Change of the Classic™ does not utilize inserts or attachments, simply slip a 3/32" graver into an handpiece and it is ready to go. The graver can also be locked down with using a setscrew or thumb screw if desired. The Classic™ handpiece comes with a presharpened carbalt graver, three high speed steel 3/32" square graver blanks, stainless as well as tungsten piston, a leather handpiece pouch, extra screws, orings, wrenches, handpiece tubing and connectors, compressor braided hose and owner's manual. 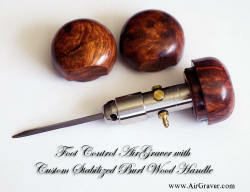 Custom Burl Handle for foot control AirGraver®. These burl handles will fit on foot controlled Classic™s, Aritisans and NitroG90s. 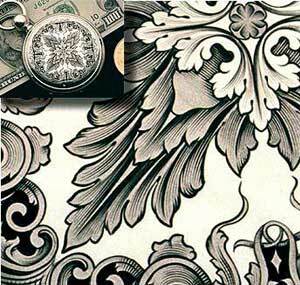 There are several engraving sets on this site that include the sharpener. They are here.